Funding has never been more scarce for public schools here in Indiana and schools all over the nation. I have found myself getting pretty creative when it comes to procuring resources for my classroom. Thankfully there are programs willing to help. One of my favorite programs is the Box Tops for Education. Since 1996, when the program began, Box Tops for Education has donated over $500 million dollars to schools. Isn’t that amazing? Our school has used our Box Top for Education money for things like literacy programs and math intervention materials. Every little bit helps. 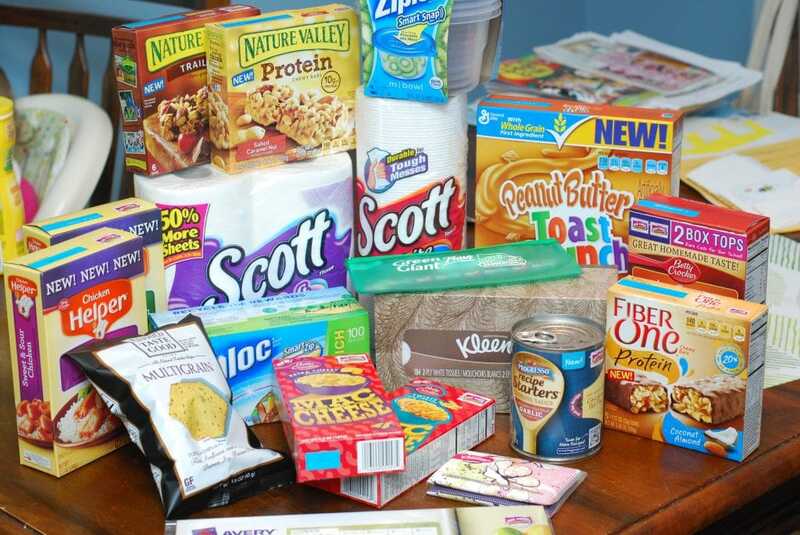 You can find box top rewards on the tops of over 240 participating brands of products such as Pillsbury, Cheerios, Ziploc, and Kleenex. All you have to do is clip them and bring them into your local school. It really is that easy. Most schools have Box Tops drives several times throughout the school year where they collect them, but I know that I we accept them all year long. I just throw mine in a drawer and twice a year empty them into our collection box. To celebrate Box Tops generous donations to schools nationwide, they are supplying one lucky winner with a pantry stock up prize package! Pardon the mess in the background… a teacher’s work is never done. That is a bunch of grading I have left to do! I love Food Should Taste Good chips! Ziploc products are ones I use a lot. I love my Ziploc bags! I do go through alot of cinnamon toast crunch in my house! We all like Totinos pizza rolls! I love Nature Valley Dark Chocolate Cherry and Protein Salted Caramel. So good! Honey Nut Cheerios. Thanks for the chance to win! I love Nature Valley Oats and Honey Granola Bars. Fiber One products! I don’t think I have met one from the Fiber One line that I didn’t love. They are a staple in my house! I like to get the box tops for education from cereals. The kids love Hamburger Helper. Cheerios and Betty crocker potatoes! Juicy Juice is a favorite in our house. Cheerios and Cinnamon Toast Crunch…staple in our house! We love most of the General Mills cereals. Betty Crocker Frosting and cake mix have the box tops on them, Who doesn’t love cake?